WaterLev Auto Fill System for Outdoor Fountains, Maintains the Water Level in your Fountain | Fountain City Art Ctr. Water fills your outdoor fountain as needed so you never have to worry about your water feature running dry or low again. If you have ever burned out water fountain pumps in your garden fountains or wall fountains you will understand how nice this accessory is. 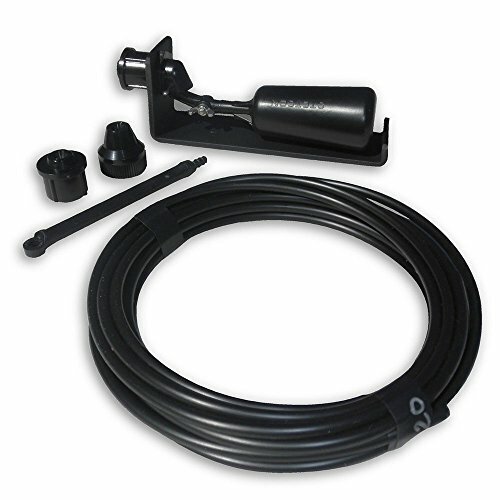 Comes with connection fitting for your hose or faucet and a 1/2 threaded irrigation line. A 10 foot 1/4 black tubing is supplied with it. Just connect to a faucet or garden hose and the float tells it when it needs water. The black stainless steel base is sturdy and will hole the system in one place. If you have any questions about this product by WaterLev, contact us by completing and submitting the form below. If you are looking for a specif part number, please include it with your message.